Hey, people! 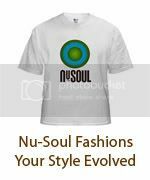 I was featured on Astral 22's Modern Soul Podcast to promote my company Nu-Soul. Have a listen and check out my musical selections that include Peter Hadar, Jimmie Reign, Lady Alma, Tiombe Lockhart, The Politik and more!